You are here: Home / Education / Moodle to study for midterms! Last weekend, I spent a vast majority of my Saturday making quizzes for my students to review for their midterms for my class. The Moodle system is powerful, but not very intuitive, at least from a teacher’s standpoint. 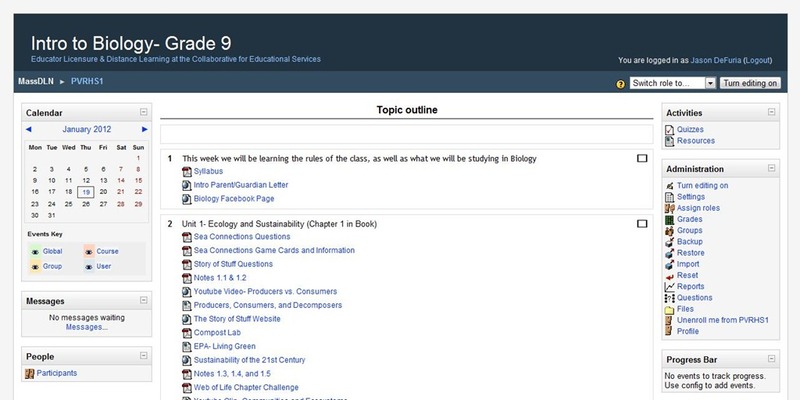 But, providing the practice quizzes was more of a priority than the backend follies with Moodle in its current form. I made four quizzes, one quiz for each of the first four units that we’ve covered thus far in my Introduction to Biology class. The first unit was basic Ecology, the second unit was Population Ecology, the third Unit was Biochemistry, and the fourth unit was Cells. If you would like to take the quizzes, here are the links! The quizzes do require you to register, which is a problem that many of my students ran into, as many were using the site primarily as a guest. There is currently no way for me to set quizzes to be accessed without a login. The server that it is hosted on (for free) is also a little slow sending out the confirmation emails. With all of the problems I had, it was nice to hear from some of my students that it was helpful to use.